2. More than 4 million children are affected by the war in Syria, which is going into its third year. 3. Many children are homeless and in need of potable water, food, and shelter. 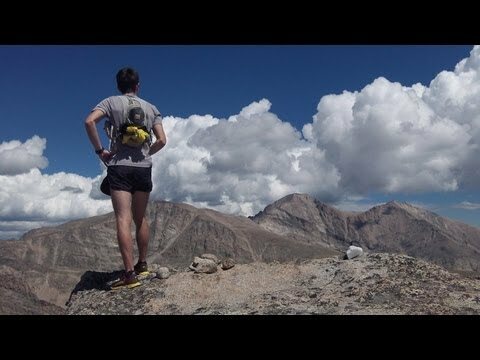 As I mentioned last year, my company Vo2max Productions, LLC (run largely by ads on it’s YouTube channel) will be making more and more of an effort to get involved in charitable giving (it also helps that I won some prize money at Speedgoat and I have some very supportive Sponsors!). Through book sales, coaching, and ad space I will be donating 10% of all proceeds to my main charity, UNICEF. It will be directed at the Syrian fund: . I urge you to take notice and perhaps spread the word and consider donating to help this charitable (or any charitable) cause. Iraq, May 2013. 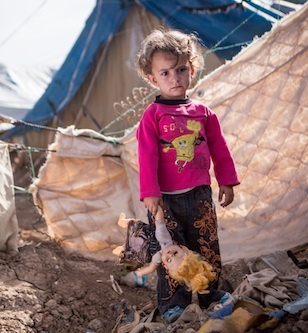 A Syrian girl plays with her doll behind the tent in the Domiz refugee camp in Northern Iraq. The area is strewn with rubbish and often raw sewage but children have nowhere else to go to play. Domiz is situated near the city of Dohuk, about forty miles from the Syrian border. Approximately 40,000 Syrians are living here, in facilities provided for around half that number. 9-1-13: Uptempo Run: 2 mile warm-up. Then rolled out 6 miles: 5:24, 5:42, 5:19, 5:13, 5:34, 5:32 on rolling road with the last 2 miles on trail. Felt decent. Legs not used to the turnover again but forced them into it a bit. Easy cool-down 2.7 miles. 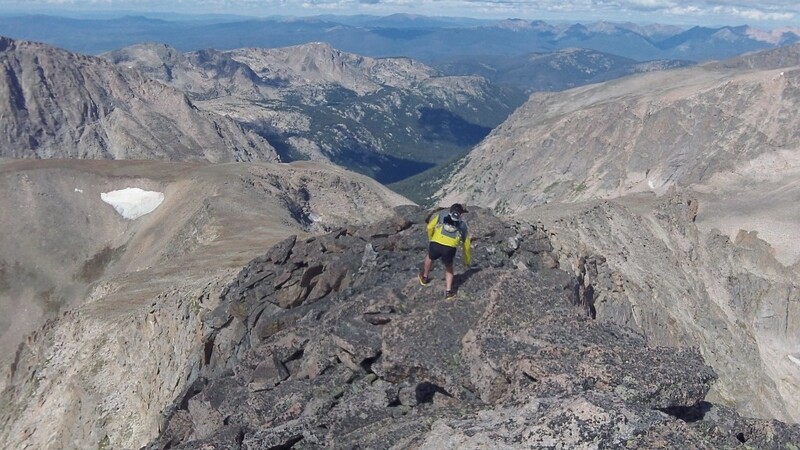 9-2-13: Longish: Ran with my friend Dan Gorman from college (31min 10km runner) from Allenspark area up to summit Chiefs Head (13,200′) and Mt. Alice (good climbing!). Great weather for a 7hr outing. A bit tired from the day before but didn’t push the decent. 9-3-13: Recovery: 9 miles flat in a little over 1hr and 259′ on S. Boulder trails. Didn’t feel as tired as I thought though! 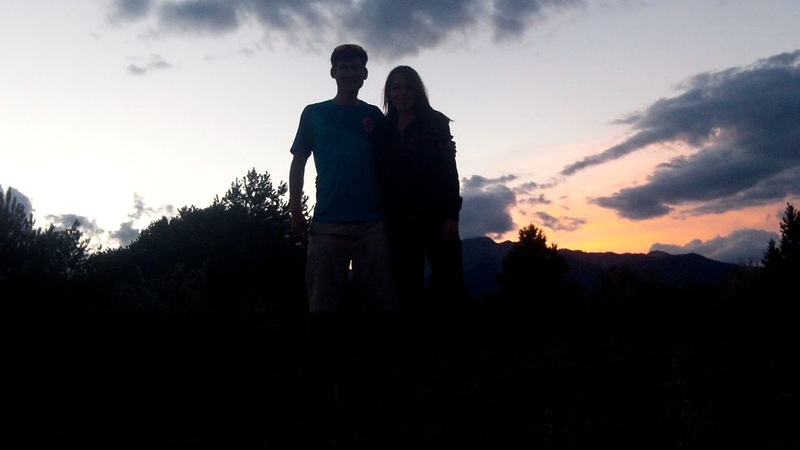 9-5-13: Long (and Hard): Maroon Bells Four Pass Loop FKT (4:27). Camped out the night before with Sandi and got a 7:14AM start on the 4-Pass loop. Weather was actually hot up there and ran out of fluid to drink approaching the 4th pass. Felt like I couldn’t climb early on as I was just on pace after the first Pass at Buckskin (55min). Worked the descents and made up a lot of time on the second pass. Dehydrated at the end put didn’t bonk and legs held up. Getting strong (hopefully)! 9-6-13: Climbed Mt. 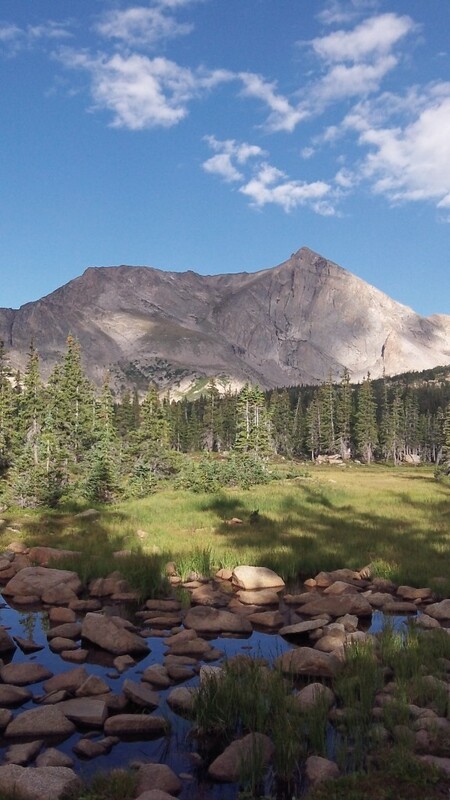 Shavano (14,231′) and Mt. Tabegauche (14, 163′) with Sandi. Lots of pow-hiking and navigating rocks off-trail. Great views! 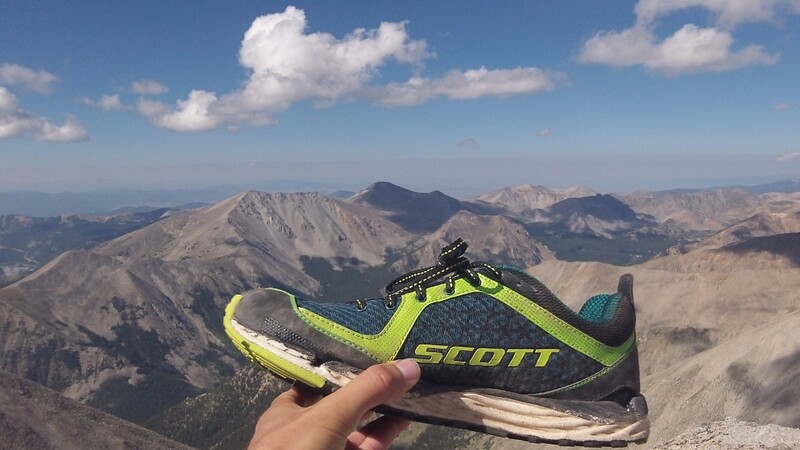 The SCOTT Kinabalu conquers two 14ers in one day…the day after setting the Maroon Bells Four Pass Loop FKT! 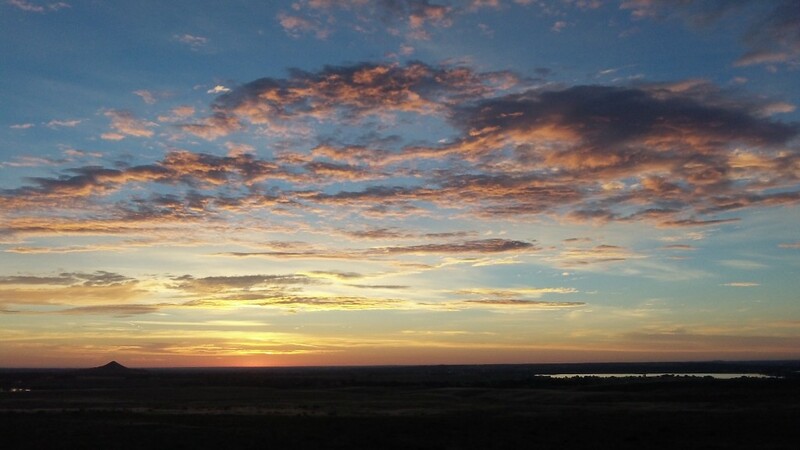 9-7-13: AM: Recovery run: 8 miles in 1hr with 381′. PM: Recovery run: 4.25 miles in 0.5hrs with 180′. And Finally, I’m proud to announce some new Sponsors! 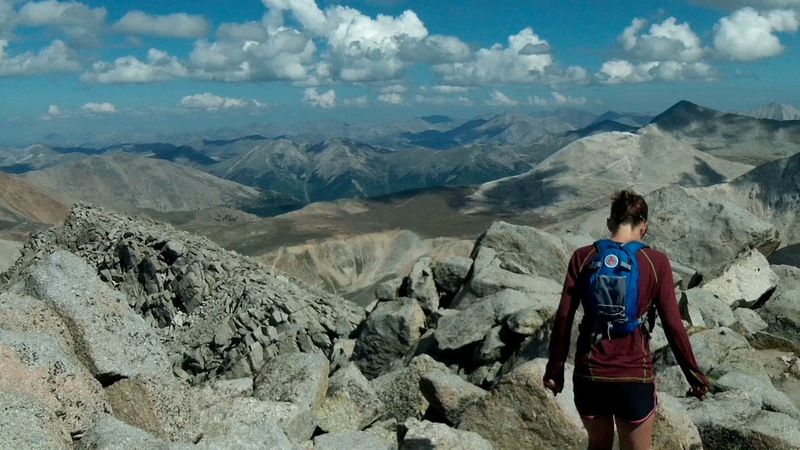 Integrative Healing Acupuncture & Wellness here in Boulder is supporting my mountain-ultra-trail running efforts by providing me with recovery devices/treatment, massage, acupuncture, STEM, and nutritional advice to name a few. As a local health practice, I feel very fortunate to have their support to make sure I stay healthy and performing at my best! UGo Bars is a new start-up company from Indiana that makes vegan, gluten-free energy bars. They are great tasting sources of energy derived mainly from nuts. Owned and operated by endurance athletes, UGo has already been very supportive in sponsoring several other ultra runners. Sandi and I feel very fortunate to have their support and will enjoy eating many bars to help energize our training and recovery! 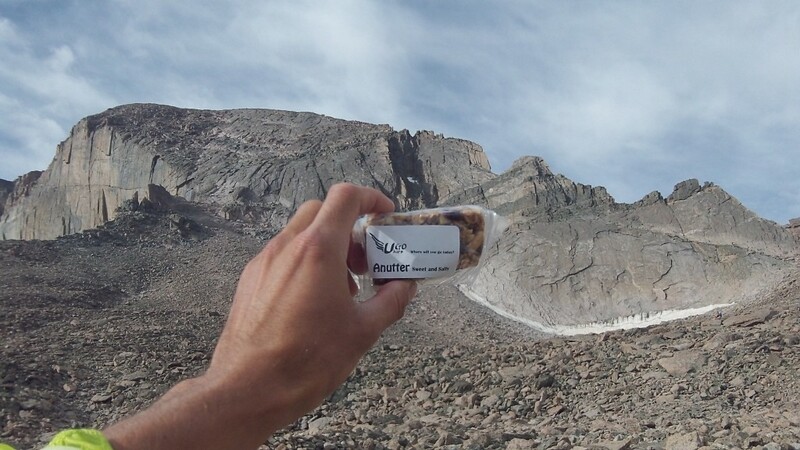 UGo Bars made it up Longs Peak earlier this summer! Thank you again for reading. I really appreciate all your support! I wish you the best with your running. Thank you! It is nothing compared to what Killian and Krupicka do though (more like 30,000+). It helps to live in the mountains..that’s part of the reason I moved up from sea level. Best of luck with your training and future races! Just want to express my gratitude and say that your Syrian children post is warm and important and this is fully compassion act. I have been following your YouTube channel for the last couple of months as part of my NYC marathon preparation. This will be my first marathon and thanks to your post some tips were tested with great success. Thanks also for the Teff tip and your general information on running. I wish you a great success with Vo2Max. That is great to hear! thanks so much for the support. How did the NYC marathon go? I have aimed for 3:22-25, ended 3:35:01 (BIB31179). Northern winds (20mph) and quite cold weather 34-40F made it a tough race. It finally ended up with a big smile. I am working on translated summary for my friends in the US so I’ll drop you a note when it’s done. Thanks for the report! That sounds like a great race given the conditions. Nice work! Best of luck with your recovery and future races. Wishing your quick recovery and all the best with your amazing races! Great write-up! I liked all the photos/videos you put in there between the sections. Best of luck with your future events!